Each Social Media Interaction Can Result in Up To 1,000 Virtual Page Impressions- Increasing Brand Exposure and Maximizing Your Advertising Dollars! Bridge the gap between the physical and social media worlds in real-time by linking guests’ PDC Smart® Wristbands to their social media profiles. 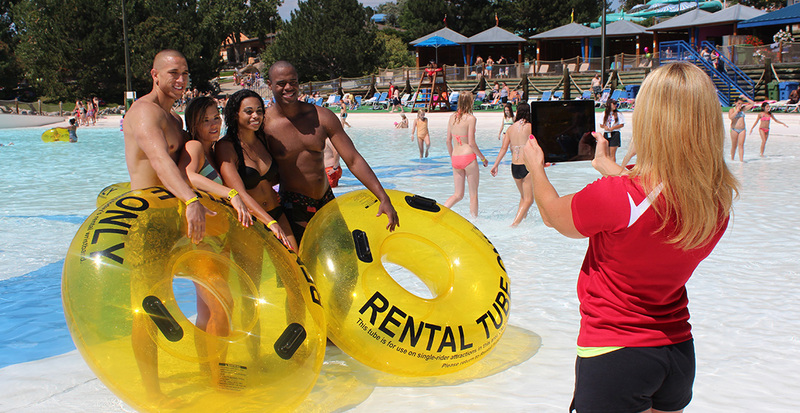 Guests can “check-in” at your facility or new attraction, post a park branded message or photo to Twitter or Facebook, and much more from anywhere inside your park. When guests link their social media profile to their Smart Band®; RFID social sharing applications allow your guests to share their experiences in real-time with their online friends. Photos, likes, or check-ins can be posted immediately to their wall.